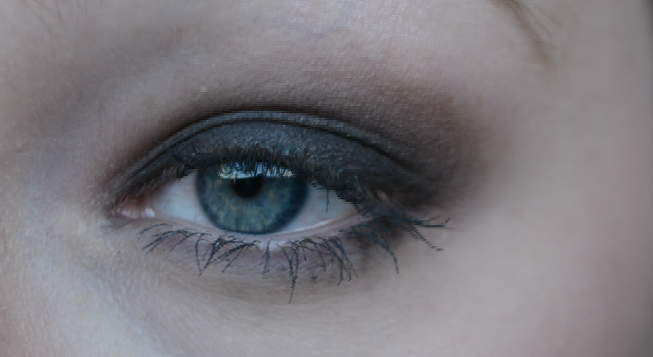 Next I plonked “blackout” from the smoked palette onto my eye lid and blended that upwards and took it out towards the end of my eyebrow. I also put this on my bottom lash line using a pencil brush and then used my ring finger to smudge over the top. 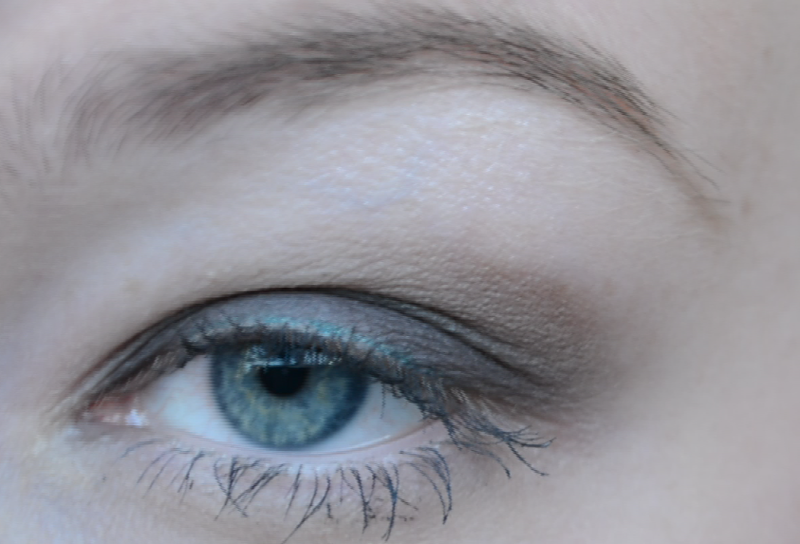 Next I added a really thin line of the Barry M Blink eye liner just along my lashline to intensify the look. I also recurled my lashes and added a little more mascara, this time using the Avon Super Shock mascara. To finish my eye region I filled in the bald spots of my eyebrows using the Anastasia Dip Brow pomade in “dark brown”. Now, I didn’t put a dark liner on my waterline because my eyes are damn small but if you want to then it would look super sultry. 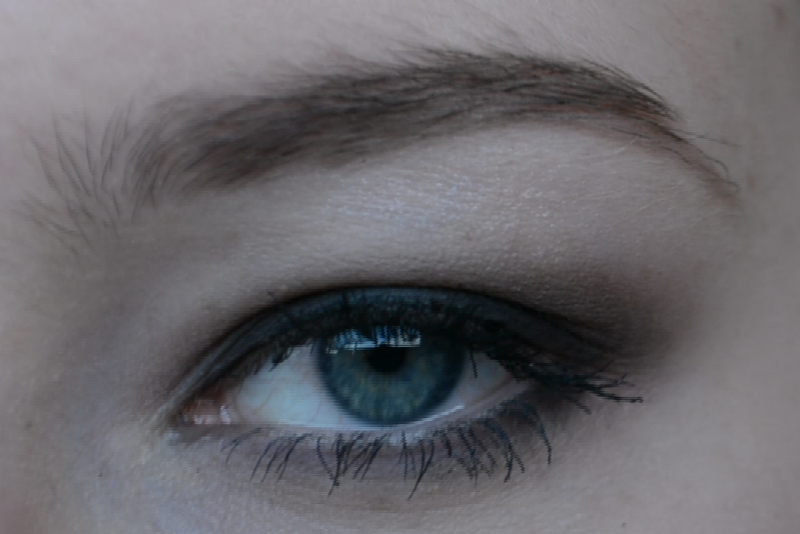 You could even use a coloured liner to make your eyes pop! 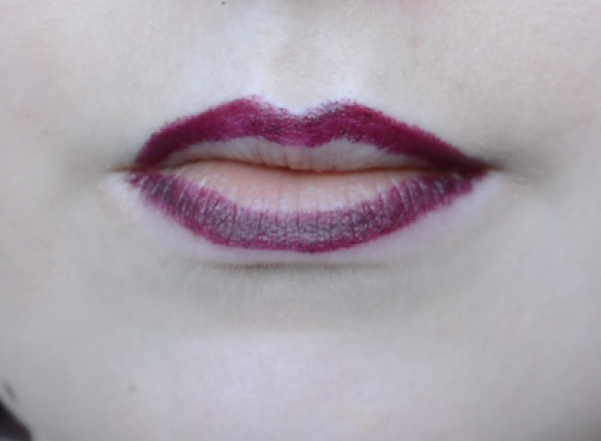 Then you wanna really roughly outline your lips using the collection “damson” lip pencil, not in the centre though because the lipstick is more red toned and it will create a very subtle ombre effect. 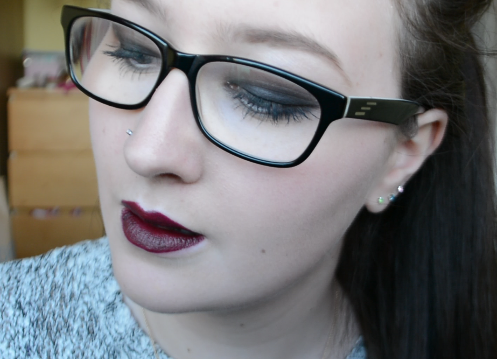 I just popped the Gerard Cosmetics “cherry cordial” lipstick over the top and BOOM WE’RE DONE. So yeah, since last week..bare in mind this was meant to be a relaxing week off. Thursday I had my first appointment with my therapist so that was eventful and then met up with a friend to take my mind off things, and then realised I hadn’t been paid yet and couldn’t even afford a maccies so that was fun. Then on the Friday I had a follow up appointment for my asthma and they said I need another inhaler with steroids in, watch out for my biceps. Saturday was my best friends 18th and that was even more eventful! But also one of the most fun nights I’ve had!! Then on Sunday I went out with my parents in the morning and my work friends in the evening, then had a huge panic attack before I was going to bed and managed to knock my nose stud out and then spent 2 and a half hours trying to get it back in with brute force (and a frozen baby carrot to numb my nose a bit…) so then in college yesterday I was already feeling ill and was running on almost no sleep. 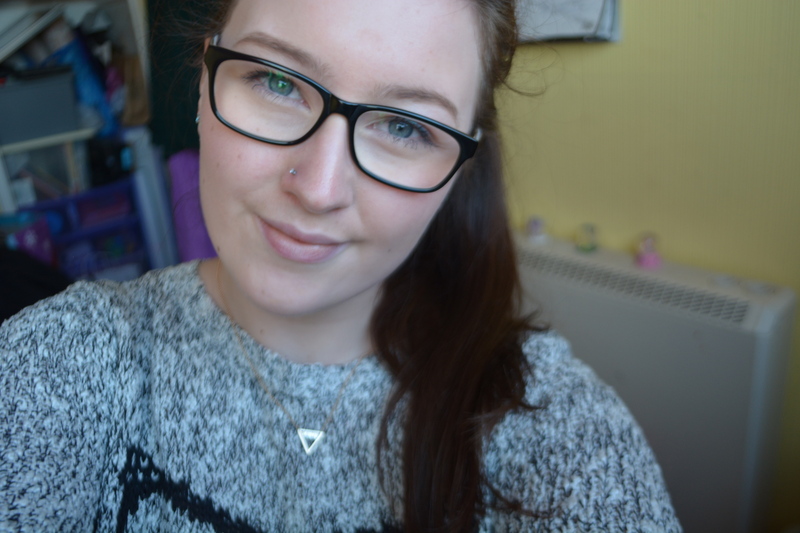 And then this morning I had to see my therapist again and went out shopping with my Dad and then remembered that I’m in work now until Sunday so I need to get a post up! Also, fun fact, all but the first picture in this post are screenshots from videos because I tried to film this and failed miserably! 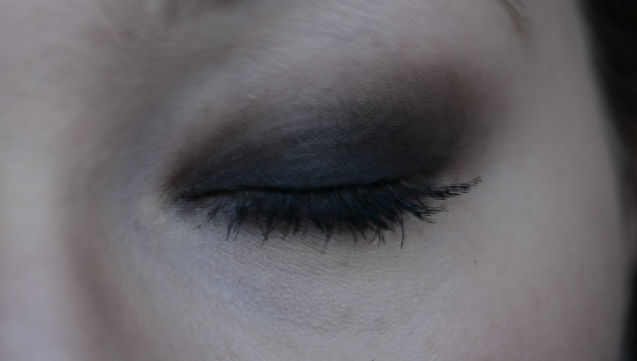 One day I will be able to film tutorials, one day… You guys are just gonna have to stick around until then!! 😉 I hope you all have a great week and I will speak to you soon! Goodbye for now little buns! → Makeup Revolution Amazing Care Lipsticks! What a doll! Knew your face would look totally dreamy with a “Smokey Eye” look. However, your creative makeup abilities really give it a credible, everyday look. Very nice. Think your “finished look” is more beautiful than Taylor Momsen’s original. Your pretty nose, cute face are really set off very nicely by your lovely nose stud. Nice work Chloe!